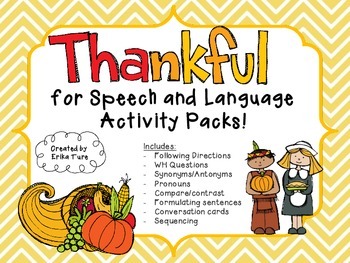 This variety pack can be used in so many ways! 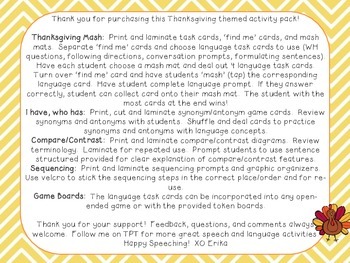 ......along with 4 token boards, 6 mash mats, 3 Venn Diagrams, and 2 graphic organizers! Pages 25-28 ‘I have, who has’ with synonyms and antonyms. 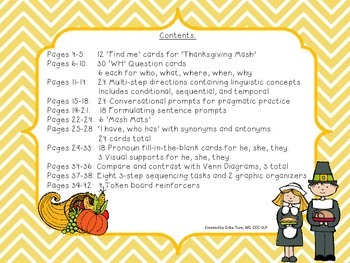 Pages 29-33: 18 Pronoun fill-in-the-blank cards for he, she, they.